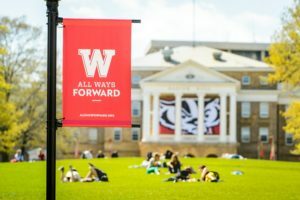 Molly Rentscher, a University of Wisconsin-Madison Writing Fellows Program alum, was the Writing Center Coordinator at Arizona State University’s West campus while collaborating with Vicki on the research shared in this blog post. In August 2018, Molly began a new position at University of the Pacific, where she supports graduate students and oversees the development of a new graduate writing center. Molly holds an MA in Writing, Rhetoric, and Discourse and a Certificate in TESOL from DePaul University and a BFA in Art and English (double major) from the University of Wisconsin-Madison. When she’s not working with writers or talking about writing, Molly likes to take her dog to the park and to the local ice cream stand. In case you’re wondering, Molly’s favorite flavor is salted caramel, and Junebug’s favorite flavor is all of them. Vicki Kennell has been part of the Purdue Writing Lab for six years. She began her time there as the ESL Specialist and is currently the Associate Director for graduate writing and multilingual writing. Vicki holds a PhD in English Literature (certificate in Second Language Studies) from Purdue University, an MA in English Literature from Ohio State University, and a BA in Education (minor in English & Creative Writing) from Wheaton College. Despite all that education, there are only a few things in life that she knows for sure: cats are preferable to dogs; sunsets and sunrises are equally beautiful; and curling up with a good e-book-reader will never be as wonderful as curling up with a good book. 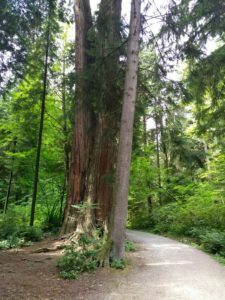 While exploring Stanley Park during the 2018 Symposium on Second Language Writing in Vancouver, we stumbled across the tree in our featured photo, and we can’t imagine a better photo to represent this project. Both of us work in contexts with large populations of second language (L2) writers where we often find ourselves tracing problems to their roots. At Purdue University and Arizona State University (ASU), increasing numbers of international matriculations have led to increasing numbers of writing center visits by L2 writers. In the 2016-2017 academic year (AY), at the Purdue Writing Lab, 69% of total visits were with writers who self-identified as non-native speakers of English. In that same time period, at the ASU Writing Centers, 29% of total visits were with writers categorized as “international” by the University’s management system. This data provides a wealth of useful information not only about the number of visits, but also about the demographics of visitors. We know how often L2 writers visit our centers, their primary language(s), and their majors, among other things. Of course, there will be differences among L2 writers, but with this data we can create a portrait of the most common L2 visitors to our centers. 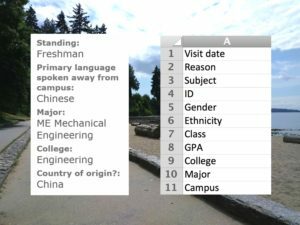 At Purdue, for example, this data painted a portrait of the most common L2 visitor as a first-year mechanical engineering student attending a face-to-face appointment once per year. At ASU, the most common L2 visitor is a first-year finance student attending a face-to-face appointment 3-4 times per year. Before beginning the cross-institutional research project that we’ll share in this blog, we thought that we knew our L2 visitors well, but this proved not to be the case. We learned that while the demographic and visit data that our writing centers collect seems rich, it is actually somewhat limited. The survey data that we collected to supplement our demographic/visit data surprised us, challenged our tutors’ perceptions, and generated several implications for how we prepare our tutors to collaborate with L2 writers. This data revealed the value of digging deeper, of getting to the roots of who L2 writing center visitors are. Through informal conversations at conferences, we discovered that we both wanted to learn more about L2 writers than our demographic and visit data offered. In particular, we wanted to hear from L2 writers about their experiences in our centers, their experiences writing in English and in their primary language(s), how they view themselves as writers, and so on. We also wanted to be able to share this information with our writing center tutors. 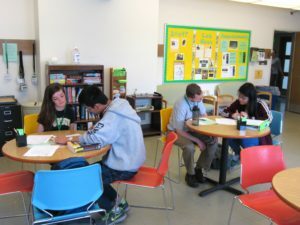 As writing center administrative staff, we hear from tutors about their experiences working with L2 writers – their concerns and their fears, but also their interpretations of L2 writers’ goals and requests. Sometimes, these interpretations are based more on tutors’ assumptions than on facts, and such interpretations can lead to tutoring issues. For instance, a writer’s request for grammar help occasionally becomes a tutor trying to fix everything for the writer without probing further to learn more about the writer’s grammar needs, writing process, or tutoring preferences. This can be especially true for new tutors who often approach L2 tutoring assuming that writing processes will be the same, and who often struggle to differentiate between and address writing and language concerns. In our experience, tutors’ struggles or concerns can often be attributed to what they don’t know about L2 individuals as writers, and we hoped that hearing from L2 writers would help us better understand writers’ experiences so that we could better support the tutors in our local context as they learned to work with L2 writers. We collaboratively developed a survey with the hope that these survey responses, in tandem with the demographic and visit data, would provide a clearer picture of the L2 writers visiting our writing centers. The key word in that sentence is hope. Neither of us is a statistician, nor are we hard-core social science researchers (if you want detailed information about writing center research, including survey research, don’t ask us—we recommend Jackie Grutsch McKinney’s 2016 book, Strategies for Writing Center Research). We wanted to create something for our local context that would make a difference. The final survey included 30 questions that were organized into three sections: background and demographic information, writing habits in primary language(s) and in English, and experiences with the writing center. We individually worked with the IRB departments at our respective institutions to approve the survey and sent the survey to the L2 writers who visited our centers during the 2016-2017 AY. 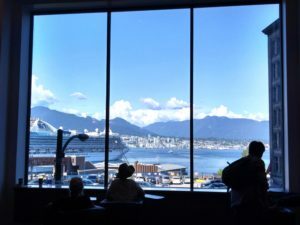 We then collaborated remotely to discuss and analyze the results, which we co-presented at the 2018 Symposium on Second Language Writing in Vancouver (for copies of the slides and notes, see https://docs.lib.purdue.edu/writinglabpres/17/). We embarked on this project not only because we had a shared set of interests, but also because one of our goals was to see if our L2 writer populations would be similar despite demographic, institutional, and geographic differences. The Purdue Writing Lab and the ASU Writing Centers work with large numbers of L2 writers, but what Vicki tells her prospective undergraduate tutors in their practicum about the primarily-international students at Purdue is relevant here as well: “international describes a mode of matriculation and tells almost nothing about the person as a writer.” So research findings might be similar across institutions, or they might not be. Comparing data cross-institutionally thus has the potential both to facilitate the sharing of strategies that will be relevant when populations are similar and to broaden the understanding of what might-be when populations are different. And, we might be stating the obvious here, but teaming up is fun! We found that it was energizing and inspiring to collaborate on this project. Of course, we also experienced a few complications throughout the collaborative process. When comparing demographic and visit data, we discovered early on that our institutions used different software platforms: WCOnline and TutorTrac. This resulted in slight categorial variations in demographic and visit data. For example, the Purdue Writing Lab had data on L2 writers’ home country and primary language(s), but the ASU Writing Centers did not. Our institutions also had access to different survey platforms: Qualtrics and SurveyMonkey. For this reason, our surveys were not structured identically, and there was some variation in how L2 writers’ experienced the survey. We also needed to negotiate our time zones and timelines. With Vicki living in the EDT time zone, and Molly living in the MST time zone, that often meant engaging in detailed email exchanges and scheduling phone calls during specific windows of the day to accommodate the three-hour time difference. In addition to time zone issues, timelines took much longer than we originally anticipated due to differences in IRB processes and autonomy within our institutions. For example, Molly collaborated with the director of her unit several times to revise her survey, and these conversations included re-wording and deleting a few questions that were retained in Vicki’s survey. So, while collaborating can be fun, it is not an undertaking for the faint of heart. Our hope that this survey would clarify matters in our local contexts was admirably realized. We learned surprising things about our writers – often things that contradicted prior assumptions and tutor perceptions. We can’t share everything we learned in this blog post (despite not actually having a word limit—how great is that?! ), but we wanted to highlight a few of the most interesting topics and behaviors that came to light through the survey. Writing processes. 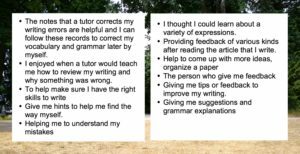 Before we began working on our survey, one of the perceptions that we and our tutors occasionally had about L2 writers who came in asking for grammar help was that they might not know very much about writing as a process. However, when asked to explain their personal writing process, including whether it was the same or different when writing in their primary language or in English, L2 writers showed a remarkable degree of understanding of their writing process. A majority of ASU respondents (61%) and almost half of Purdue respondents (45%) listed a single writing process without specifying which language. We assume that this likely means the writer has a single process regardless of language. Of the writers who listed a single writing process, 42% of Purdue respondents and 58% of ASU respondents indicated some variation of the same single process. This basic process included three steps: prewriting, writing, and editing or revising. What was most interesting about this common single process was the extent to which writers marshaled their resources prior to writing. Writers tended to do a whole lot of work prior to actually writing the draft: outlining, brainstorming, talking to people, researching the topic, listing keywords, etc. What we don’t know from this data is the extent to which any of the stages of this single process are caused by writers lacking confidence versus writers who are fairly savvy about writing processes. 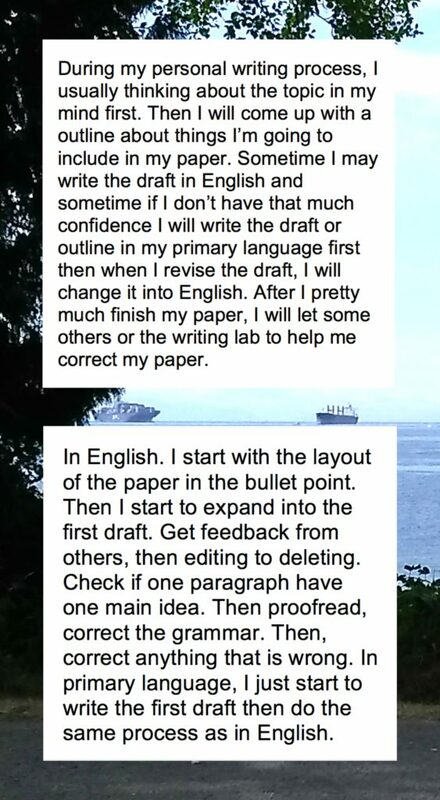 For instance, does the prewriting occur because writers know that this sort of work will help them write the actual draft, or does it occur because the writers aren’t confident of being able to express content knowledge in a second language? Other L2 writers explained that they used the same writing process in both languages with little to no variation (33% at Purdue and 13% at ASU). A smaller number of L2 writers indicated a different writing process for each language (13% at Purdue and 19% at ASU). From this data, we learned that writers clearly have a sense of their own process, and, for many of them, it is a unified sense across languages. This means that tutors could ask struggling writers about their L1 writing process and then talk about how it transfers to writing in the L2. The flip side of that approach is that writers with a very limited process in the L1 (e.g., draft, edit, submit) may transfer that process to writing in the L2. We may need to teach tutors to talk about different stages in the writing process in greater detail and to engage writers in conversations about the usefulness of marshaling resources before starting but also while writing. Feedback on grammar. As writing center administrators, we often hear tutors say that L2 writers just want proofreading help, and we often observe tutors focusing exclusively on the sentence level with L2 writers who they perceive as needing proofreading help. In order to examine these tendencies further, we asked L2 writers about the reasons for their visits (first visit & most recent), about the style of feedback they prefer to receive, and about their understanding of the roles of tutor and writer. The results from all of these categories surprised us. They clarified how the tutor perception that L2 writers just want proofreading help is, in fact, a misperception. If L2 writers just want proofreading help, we might expect to find that their reason for first visits and recent visits was a desire for help specifically and primarily with grammar. However, this was not what we found in our survey. At both institutions, the top two reasons for first and most recent visits were worry about writing skills and worry about language skills. In addition, when asked about reasons for their most recent visit, around half of respondents selected both local and global writing skills from a “check all that apply” style list. Another 27% of Purdue respondents and 10% of ASU respondents selected only global writing skills. Only around one-third of respondents from either institution selected only local writing skills. So, yes, while there is a fair amount of interest in grammar help, we learned that tutors need to think in terms of “grammar plus.” L2 writers will request grammar help, but they likely also want help with several other writing skills. Tutors may need to learn more strategies or gain more practice probing further when a writer asks for help with proofreading or grammar. This will ensure that an opportunity to address global needs is not missed. Agency. Again, if it’s true that L2 writers primarily want proofreading help, then we might expect writers to cede agency to tutors (perhaps unconsciously) by preferring a style of tutoring where the tutor simply makes the correction or tells the writer exactly what to do. We found quite the opposite in our survey. When reflecting on the style of feedback they prefer to receive, L2 writers used phrases like “teach me,” “ask me questions,” and “help me understand” to describe a collaborative and interactive style. Many L2 writers appreciate some teaching and helping when it comes to local and global writing skills. These writers want to engage in collaborative tutoring sessions that are focused on learning and will help them improve their skills. L2 writers describe a preference for collaborative, interactive tutoring styles. A few survey responses from Purdue are listed on the left, and a few responses from ASU are listed on the right. This desire for collaborative sessions is also reflected in how L2 writers understand the roles of tutor and writer. The majority of survey respondents believe that the tutor’s role is to help the writer, and the writer’s role is to engage in the tutoring session and retain ownership of their writing. When asked to reflect on the role of the tutor, almost half of respondents used “helping” language, which we coded as the writer retaining agency. Conversely, only one-third used “fixing” language that suggested that they ceded agency to the tutor. When asked to reflect on the role of the writer, over half of respondents used words and phrases that communicated their agency in the relationship. Thus, when tutors say that “L2 writers just want proofreading help,” they make a problematic assumption about how L2 writers see the tutor’s role and how writers expect to be engaged in conversations about grammar. The presence of “helping” and “teaching” language in the majority of the survey responses challenges tutors’ misperceptions that L2 writers expect tutors to be editors or fixers. Tutors need to understand that a request for grammar doesn’t just mean “fix it for me,” and they need skills that are aligned with a more collaborative and learning-oriented style of feedback in order to pass along knowledge, strategies, and rules. One-time visits vs. multiple visits. In addition to comparing our survey results, we also compared our demographic and visit data for the 2016-2017 AY. When comparing our visit data, one of the first things we discovered was that L2 writers who visited the Purdue Writing Lab during the 2016-2017 AY came an average of one time; in contrast, when L2 writers visited the ASU Writing Centers during this same time period, they visited an average of 3.7 times. For Vicki, the image of the prototypical L2 writer as a “one-time visitor” was concerning because when tutors repeatedly work with writers who only visit the Writing Lab once, the image of the L2 writer as always asking for grammar help rings more true. Tutors will end up working with a large number of writers who don’t know how tutors address grammar or the other forms of help that tutors can offer. Tutors will feel like they always work with writers who “just want grammar help.” The differences between the Purdue Writing Lab and the ASU Writing Centers raised other questions for us as well. Is the one-time visitor more product-focused, generally, or does he or she simply have less confidence with the particular genre of the current assignment? Did the one-time visitor not receive the help requested and thus didn’t find the experience helpful and so never came back? Did the writer with 3 or 4 appointments have some prior educational experience with writing that provided the impetus to work on writing over time rather than as a one-time thing? If we don’t know the answers to these kinds of questions, we are in danger of focusing exclusively on the forest, the limited demographic and visit data we collect, and overlooking the trees themselves, the individual L2 writers in all their wonderful variety. Much has been written about the support tutors need in order to effectively tutor L2 writers (Bruce & Rafoth, 2016; Rafoth, 2015; Reynolds, 2009), and about differing tutor interactions with L1 versus L2 writers (Bell & Elledge, 2008; Bell & Youmans, 2006; Blau & Hall, 2002; Myers, 2003; Thonus, 2004). However, writing center administrators’ and tutors’ understanding of L2 writers are sometimes limited to these texts and the percentages we collect in writing center demographic and visit data. Improving writing center resources and services, including the tutoring of L2 writers, requires a clearer picture of the particular L2 writers who visit the writing center. 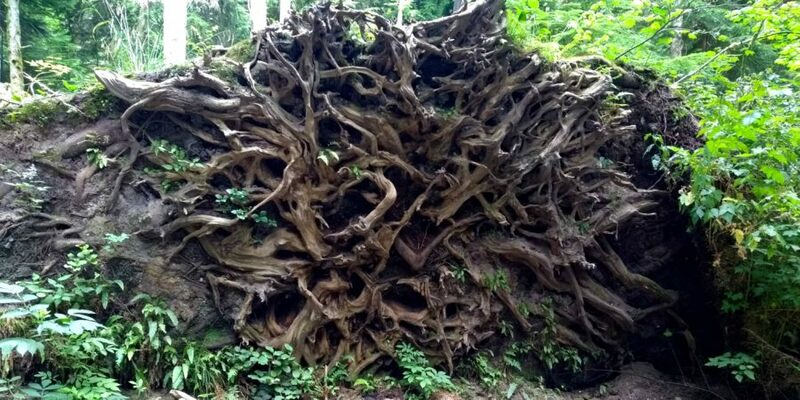 Such a portrait of the writer depends upon tracing roots to develop a wide range of understanding. It requires a closer look at L2 writers’ experiences from local context specificities of demographics to particularities of how individuals understand their own writing process and view themselves as writers, and from writers’ beliefs about the role of writing tutors to a comparison of the help writers requested and received. If you have started looking closely at your own trees, have embarked on research projects to clarify the role of writing centers in L2 writers’ development, have collected data to identify L2 writers’ needs, have ideas for future projects, or even if you just have questions about how to get started with survey research, we would love to hear from you in the comments section! My limited experience with L2 writers has been reading their MS theses in engineering topics. This post makes me more conscious of wondering about their first language and how they would think and write in it. I doubt that many of my engineering MS students really cared too much to learn how to write well. They were usually wanting to get proof reading and corrections in gramar, etc., to just finish the thesis. As an advisor, it would become my task to help them get their work into good engineering English form! A PhD student would likely be more interested than an MS student in learning to write well in L2. I particularly appreciated the line “international describes a mode of matriculation and tells almost nothing about the person as a writer” as the launch-point for the discussion of the survey data. I, too, have found myself occasionally perplexed by the session goals stated by students and the ensuing dialogue that goes so much deeper (or in a different direction altogether). The survey data also provide helpful insights into student experences (i.e., the “roots”) and have made me more intentional about collecting a fuller understanding of what the L2 students in our writing center seek. I have collaborated with L2 writers in the past as an undergraduate writing tutor, so I found this survey to be extremely relevant to my own personal experiences. I think it would be interesting to explore in future projects what grammar means to L2 writers because I have found that it tends to apply to much more than the localized areas of writing. I wonder if the disconnect or confusion between the writing tutor and the L2 writer is created by this misunderstanding. My understanding of grammar is more centered on the technical aspects of the paper, but for the L2 writer, grammar might signify clarity, comprehension, and structure.